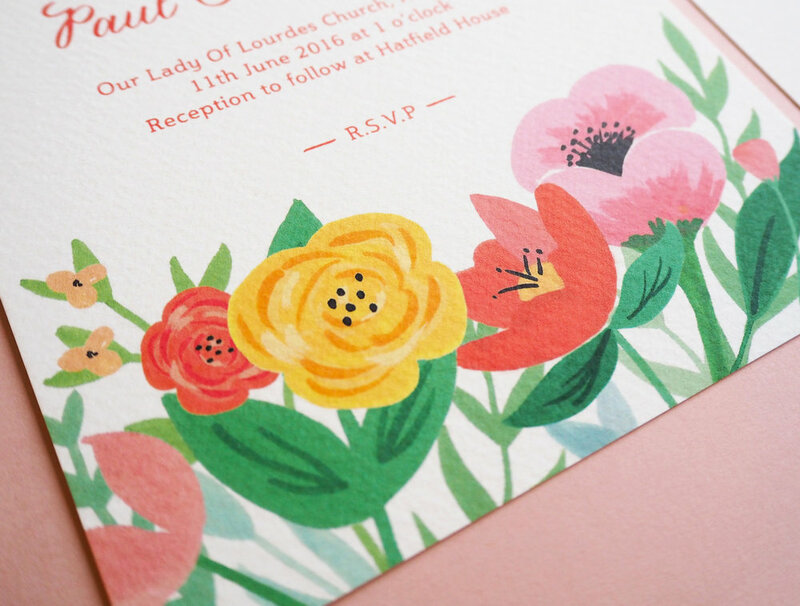 Abundant hand-painted meadow flowers create a beautiful base for this stationery suite. 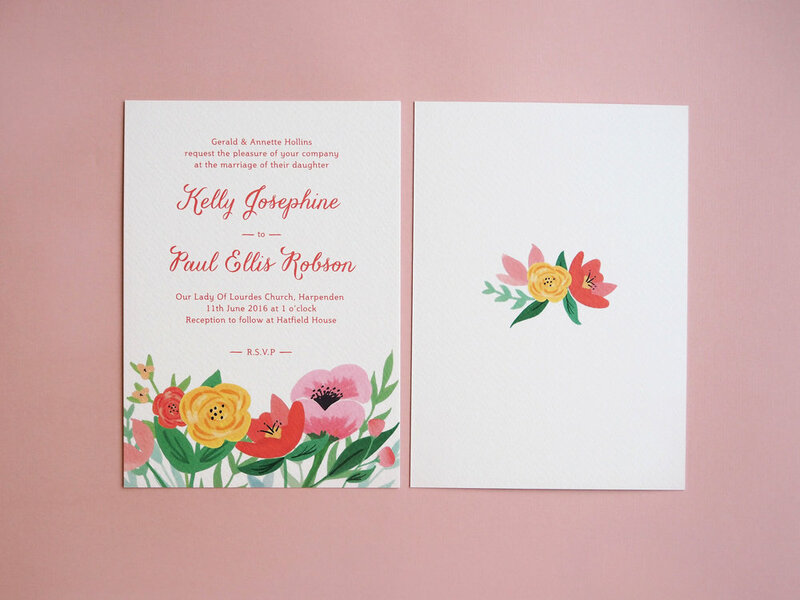 Complementing the flowers is a fluid and flourished font for the names and clean detailing on the information text. 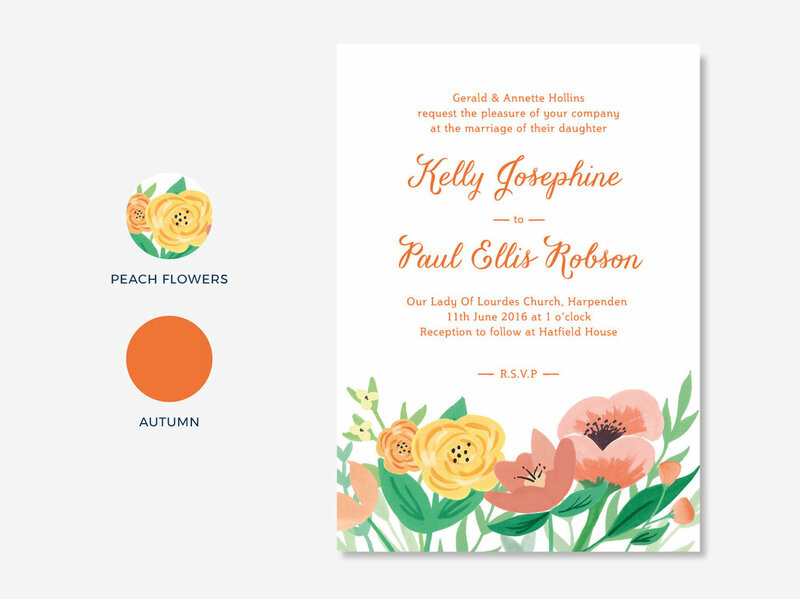 We offer the Meadow design in 3 flower colours; Spring (above), Summer and Peach. 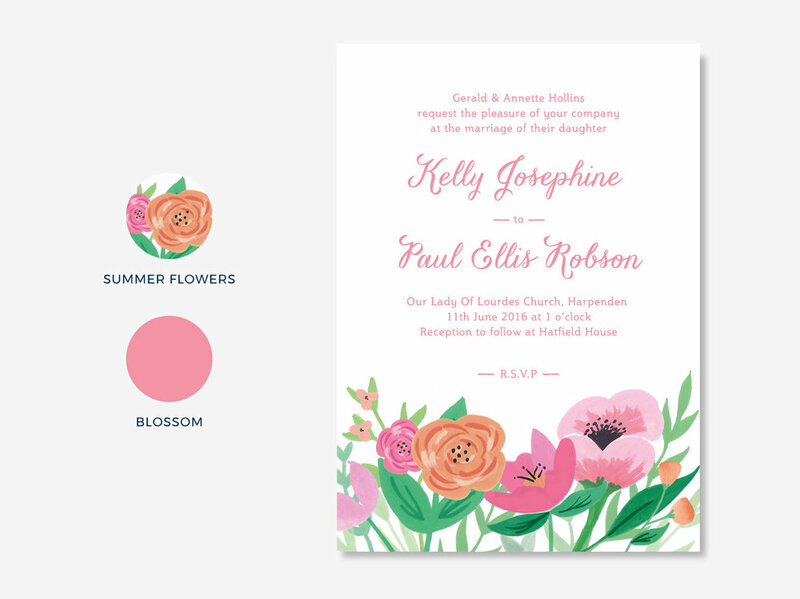 The remaining colours of this design can be altered to suit any colour palette. The examples below should give you an idea of how other combinations may look, and you can check out our colour chart for more inspiration. Changing the colours of any of our collections is free of charge and we are happy to match to swatches supplied by you.